There seems to be a real disconnect between what some career counsellors and recruitment gurus are advising jobseekers to do, and what is likely to land someone a job. Some of these folks are railing against what they see as impersonal, technology-driven recruitment processes and advising jobseekers to go around them or refuse to deal with companies that have a less-than-perfect candidate experience. In my opinion, the problem with this approach is it sometimes encourages candidates to cut their noses off to spite their faces. While it is fine for a wealthy person whose skills are highly in demand and has lots of options to be so high maintenance by refusing to deal with companies that won’t put the red carpet out for them, many others can’t afford to be so choosy. Some of this is driving misplaced anger at recruiters and “HR” in general. It may even be exacerbating “talent shortages” and causing some candidates to “ghost” employers by not showing up on the first day or disappearing without any notice. The fact is I know some really intelligent, ambitious, hard-working people with great personalities and solid skills who either can’t find a job or must work a succession of short-term contracts when they really want a full-time job. The way the job market is now, some people don’t seem to qualify for any job other than the one they currently have. That simply cannot be true, but employers nowadays are so afraid of making a hiring mistake that practically no one qualifies for the jobs they post. The problem to me isn’t so-called “skills shortages,” but employers looking for five years of experience, an advanced degree, industry experience, a huge list of software skills and backgrounds in what used to be three jobs — all for an “entry-level” job paying $30,000 a year. Overreliance on technology that weeds out perfectly qualified candidates is another major problem. In some respects, I agree with career counsellor types when they say the recruitment processes in many organizations are broken and we need to put the “human” back into human resources when it comes to talent acquisition. Technology is great and can help a great deal, but I believe we need to return to having job applications screened by human beings. 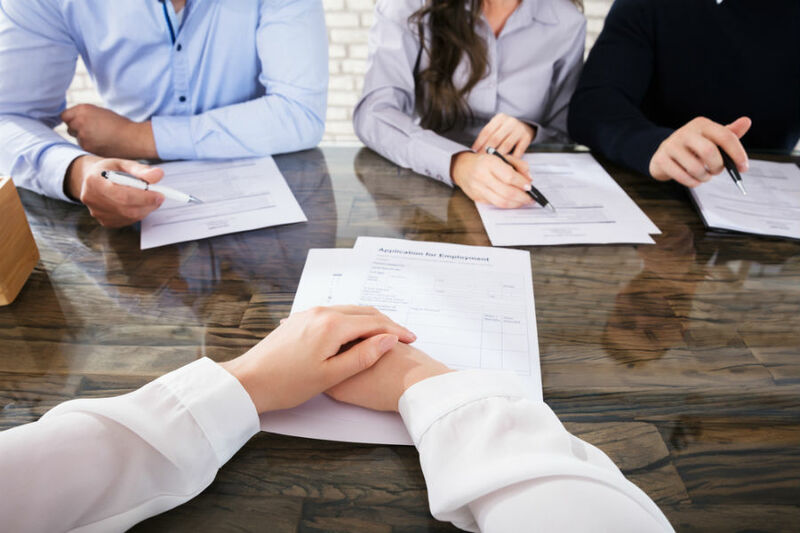 Improving candidate experience from the point of application right through the interview stage, candidate selection, reference and background checks, employment offers and onboarding is also vitally important. Organizations cannot afford to tarnish their employer brand or disengage people before they even join the company. Employers also need to start being reasonable about job requirements. Nevertheless, I have been a recruiter in both agency and corporate environments, and it can be a really tough job, with hiring managers and talent acquisition leaders often having unreasonable expectations. Job postings routinely attract hundreds or even thousands of applicants, many of whom are completely unqualified for the jobs in question or are located in other countries. If 700 people apply for a single vacancy, 699 of them are going to be disappointed. Dealing with that disappointment isn’t exactly easy or pleasant, and it generally isn’t feasible to provide everyone with detailed feedback — especially those who haven’t had a face-to-face interview. As I commented several times, I really don’t blame recruiters or HR professionals for dysfunctional recruitment processes or unrealistic job requirements. I believe these are symptomatic of the business climate in general, and hiring managers and senior business leaders must share at least some of the blame. But just because a company has a less-than-stellar candidate experience doesn’t mean the employer isn’t a good company to work for, nor is it sensible to tell jobseekers companies don’t deserve them just because they’ve asked them to complete an online application or answer a few questions in a questionnaire or via video. Going around recruiters can sometimes work, but most of the time when people try to do that, they won’t be able to determine who the hiring manager is without some major detective work. That just causes a lot of hassle for everyone concerned. It’s just like how job search gurus used to routinely tell everyone to follow up after every application even where postings urged applicants not to. Take it from a former recruiter, that’s rarely good advice.